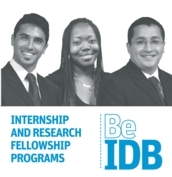 The Research Fellow Program is characterized as an opportunity for on-the-job-training, performing research or other activities in managerial, administrative, or technical environments where job skills can be further developed and strengthened. The purpose of the Research Fellows Program is to provide the Bank with up-to-date knowledge and skills in a variety of areas pertinent to the Bank that have been or are being acquired through academic programs. The Program offers university students or recent graduates, who have not reached the age of 33 years as of January 1st of the application year (or 38 years of age or younger as of January 1st of the application year for Diversity groups) with opportunities to apply and expand their educational and practical experiences in areas relevant to their current academic/professional pursuits.Participation in this program is for a maximum term of three years and an individual may participate only once in the program. After completion of the three years, a mandatory interruption of six months is required prior to being rehired as a consultant. You may find the opportunities for Research Fellows, indicated as such (or as "Asistente de Investigacion", "Assistente de Pesquisa", "Assistant de Recherche"), in the list of current opportunities that you can find here.